Prime Minister Justin Trudeau insists he did not shuffle Jody Wilson-Raybould over the SNC-Lavalin matter, contrary to former top minister Jane Philpott's argument that there was "a reason" for dropping her from the justice and attorney general posts. Prime Minister Justin Trudeau insists he did not shuffle Jody Wilson-Raybould over the SNC-Lavalin matter, contradicting former top minister Jane Philpott's claim that there was "a reason" for moving the former justice minister and attorney general to Veterans Affairs. Philpott pointed to Commons justice committee testimony by Gerry Butts, Prime Minister Justin Trudeau's former principal secretary, in which Butts referenced a Jan. 6 meeting she had with Trudeau about the company's efforts to secure a deferred prosecution agreement (DPA) that would allow it to avoid a trial on bribery charges. "I think Canadians might want to know why I would have raised that with the prime minister a month before the public knew about it. Why would I have felt that there was a reason why former minister Wilson-Raybould should not be shuffled?" she told Maclean's. Trudeau was asked about that meeting during a news conference in Mississauga, Ont. Thursday morning. He said the discussion was about appointing Philpott as Treasury Board president and moving Wilson-Raybould to fill her role as Indigenous Services minister. The prime minister said Philpott asked if Wilson-Raybould's shuffle from the justice minister and attorney general's role was in relation to the SNC-Lavalin issue. "I told her no, it was not," Trudeau said. At that point, Trudeau said, they talked about how Philpott could assist Wilson-Raybould in her new role. "It was a good and positive conversation," he said. Wilson-Raybould resigned from cabinet Feb. 12, just days after the Globe and Mail reported that she had been inappropriately pressured by PMO and other officials to overturn a decision by the Director of Public Prosecution Service of Canada to proceed with a criminal prosecution against SNC-Lavalin related to bribery charges for contracts in Libya. The Montreal-based global engineering and construction company had been seeking a DPA that would allow it to avoid criminal proceedings and a possible 10-year ban on bidding for federal contracts in the event of a conviction. Despite tensions in the Liberal caucus over Philpott and Wilson-Raybould remaining in the fold, Trudeau said again today that both MPs remain supportive of the Liberal agenda. CBC News reported Wednesday that Philpott faced tough questions during an Ontario caucus meeting. She addressed the group at the beginning of the meeting, which lasted 30 minutes longer than scheduled and was described by people in the room as "rough" and "uncomfortable." 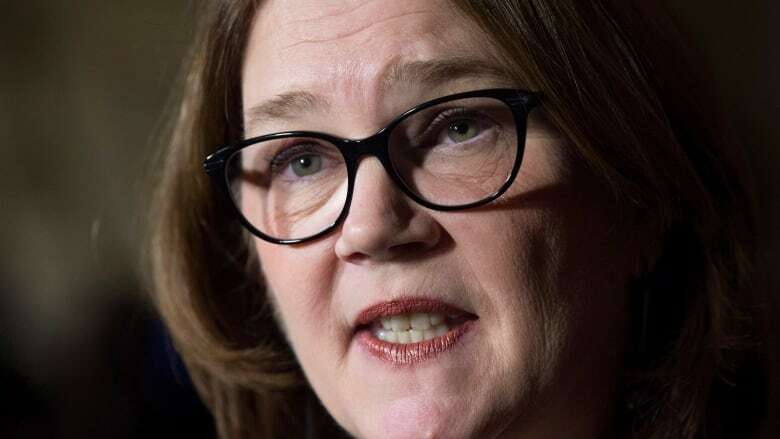 Philpott — widely considered to be one of the most competent and respected ministers in the Trudeau government — resigned from the Liberal cabinet March 4, saying in a public statement that she had lost confidence in how the Trudeau government was handling the SNC-Lavalin affair. Today, pressure mounted publicly on Philpott to clear the air. Long-time Liberal MP John McKay said "confidence is confidence" and acknowledged that MPs are beginning to see that the SNC-Lavalin matter has "political consequences." "It's one thing to take a hit from the opposition or circumstances beyond caucus or cabinet. It's another thing to take political hits from your own people," he said. Judy Sgro, another Toronto veteran Liberal MP, said Philpott could simply use her parliamentary privilege to say what she wants in the House of Commons instead of spreading "innuendo." "She's well aware of how we all feel. We don't want to damage the party, we've got a lot of work to do," she said. "They're under no restrictions. They can walk into the House of Commons right now and say parliamentary privilege and say anything they want." The Maclean's interview was published in the midst of a parliamentary uproar over the Liberals' move to shut down the Commons justice committee's probe of the SNC-Lavalin affair. Philpott said she believes Canadians need answers to maintain their confidence in the independence of the justice system. "My sense is that Canadians would like to know the whole story," she told journalist Paul Wells. "I believe we actually owe it to Canadians as politicians to ensure that they have the truth. They need to have confidence in the very basic constitutional principle of the independence of the justice system." The House of Commons is currently engaged in a marathon voting session — a parliamentary tactic deployed by the Conservatives to protest the Liberals shutting down the committee investigation before former attorney general Jody Wilson-Raybould could be recalled to testify for a second time. During the interview with Maclean's, Phlipott said Wilson-Raybould may not have resigned as justice minister and attorney general as she was enduring inappropriate pressure to intervene in the SNC-Lavalin prosecution because she "had her finger in the dike." She may have felt that her resignation could put the independence of the justice system at risk, Philpott said. "Another answer to that is, from the perspective of somebody who is under pressure and perhaps being harassed, it's incredibly hard – if you talk to people who are harassed in any capacity, to maintain relationships and to find the right time to be able to speak up about the fact that you are being treated that way," Philpott said. "So you know, I think if you look at examples of other types of bullying or harassment, it's not necessarily as easy as people might think to speak to those who are inflicting it upon you." Conservative MP Michelle Rempel said the Maclean's interview points to a "culture of intimidation" within the Trudeau government. She accused Trudeau of imposing a "gag order" on Philpott and Wilson-Raybould in an attempt to contain the SNC-Lavalin story. "How can we be serious about making Parliament Hill a place for women to work if these are the sorts of stories that Canadians see coming out, if no action is taken?" she asked. Conservatives labelled Trudeau a "fake feminist" for blocking the former ministers from fully telling their story. Trudeau waived cabinet confidence and solicitor-client privilege for Wilson-Raybould, but only for her time as attorney general and justice minister. The waiver does not cover the period after she was shuffled to Veterans Affairs and her subsequent resignation from cabinet. Rempel said blocking both women from speaking fully shows a gender issue is at play. "Any Canadian woman, regardless of stripe, should be outraged by what is happening to these women," she said. "It's disgusting." NDP Leader Jagmeet Singh said the Philpott interview is more evidence of a "serious problem" that merits a full public airing. "All this really points to is the fact that Canadians really need to have the truth," he said. "More than ever, we need a public inquiry. There's so much more that we don't know."